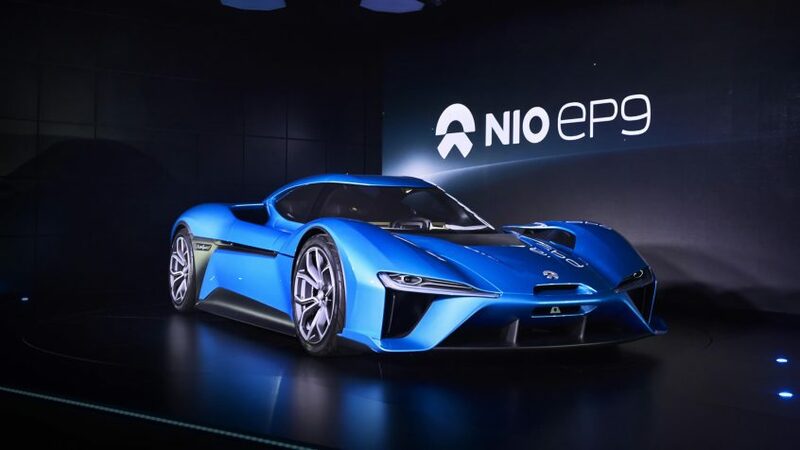 NextEV unveiled its electric supercar, the NIO EP9, which has achieved a new lap record at the Nürburgring Nordschliefe. On October 12th 2016, the EP9 lapped the 20.8km ‘Green Hell’ in 7m 05.12s, beating the previous EV lap record held, marking it out as the fastest electric car in the world. Additionally, on November 4th, it smashed the EV record at Circuit Paul Ricard in France, recording a time of 1m 52.78s, eclipsing the previous record of 2m 40s. With four high-performance inboard motors and four individual gearboxes, the EP9 delivers 1-MegaWatt of power, equivalent to 1,360PS. The EP9 accelerates from 0-200 km/h in 7.1 seconds and has a top speed of 313 km/h. With an interchangeable battery system, the EP9 is designed to be charged in 45 minutes and has a range of 427 kilometres.